A plan to enlarge a two-lane highway into six prompts skepticism among locals. 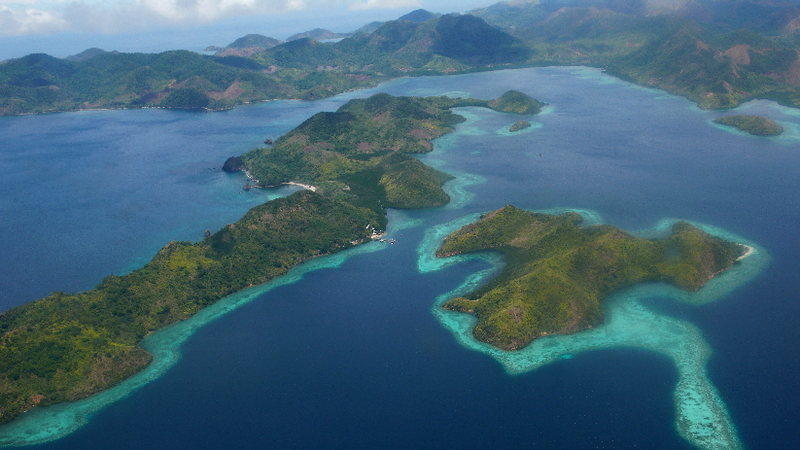 Experts say highway plans would endanger Palawan’s fragile forests, coral reefs and unique species. Observers believe corruption, not necessity, is behind the plan. Plans are underway for the construction of a massive superhighway on the highly biodiverse Palawan Island in the Philippines. The project would aim to expand the island’s existing road into a six-lane highway, spanning roughly 600 kilometers from El Nido on the northeastern end of the island to Bataraza on the southwestern side. But many on the island are critical of the project, fearing such a road could devastate Palawan’s distinct forest ecosystem and rare species. “Even at two lanes, we do not experience any heavy traffic, so why do we need six?” Robert Chan, legal expert and head of the Palawan NGO Network, asked. A recent press release cited tourism as a primary driver behind the 600 million dollar (USD) project, as well as increased opportunities for economic development. But a number of NGOs, conservationists, researchers, and local sources view the plan skeptically. An underground river emerges onto a beach in Palawan, Philippines. Photo credit: Hector Garcia, via Flickr. “It is grossly inappropriate and out of place in Palawan given the province’s unique biodiversity and its vulnerability to soil erosion and thin topsoil,” Grizelda Mayo-Anda, an environmental attorney and professor at Palawan State University, said. Mayo-Anda, who also started the Environmental Legal Assistance Center (ELAC) in the Philippines, explained that the road expansion would face significant legal hurdles. Mayo-Anda added that an environmental impact assessment hasn’t been presented yet. At the same time, the political climate appears to be shifting away from environmental and conservation concerns in the Philippines. The government recently removed known environmental champion Regina Lopez from her post as director of the Philippine Department of Environment and Natural Resources. The committee involved in her removal had strong ties to the mining sector – an ominous sign for environmental protection. The province of Palawan, which includes the island of Palawan, is comprised of a series of over 1,700 islands with a landmass of roughly 15,000 square kilometers (5,790 square miles), slightly smaller than Hawaii. Situated between the South China Sea to the north and the Sulu Sea to the south, the archipelago lies within an area known as the “coral triangle,” and its coastlines are home to over 9,000 square kilometers (3,475 square miles) of coral reefs. Coron, Palawan, Philippines. Photo credit: Patrick Kranzlmüller, Flickr. Nearly 400 species of corals occur here, providing habitat to over 700 species of coastal fish and marine mammals. These in turn provide livelihoods to local Filipino fishermen. 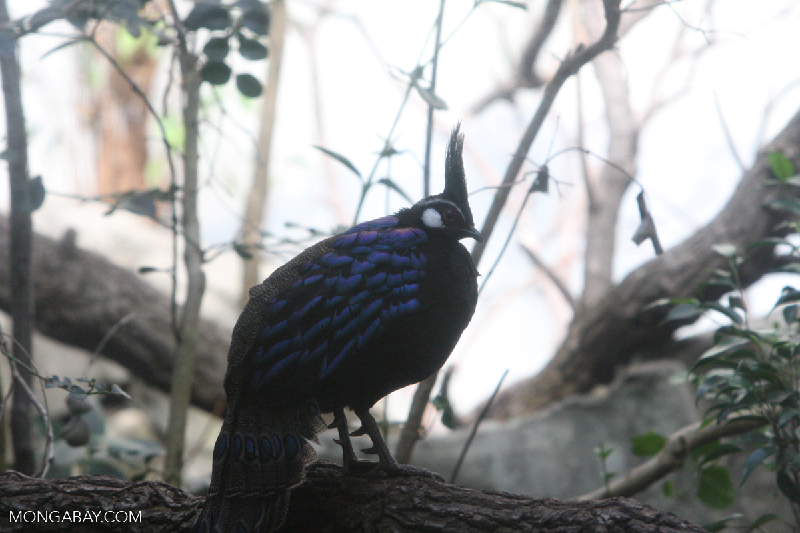 Palawan’s inland mountain range harbors vast swaths of old-growth forest and many species found nowhere else in the world, such as the Palawan peacock-pheasant (Polyplectron napoleonis) and the Palawan bearded pig (Sus ahoenobarbus). 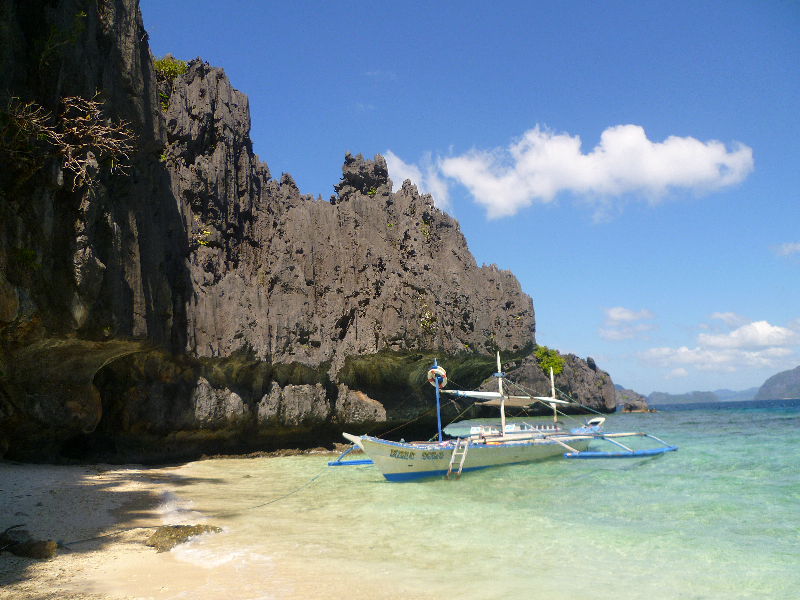 Palawan has become a hot tourist destination in recent years. It landed the Number One slot on Travel and Leisure’s Top 10 Islands award multiple times, while garnering a series of other awards from the likes of National Geographic Traveler and Condé Nast Traveller. And with the opening of its new international airport, island officials anticipate as many as two million tourists in 2017, up from a million in 2015. Palawan flat-headed frog (Barbourula busuangensis). Photo credit: Pierre Fidenci. An immense construction project cutting through mountainous forests becomes more problematic, Mayo-Anda explained, when the fragility of the landscape is taken into account. 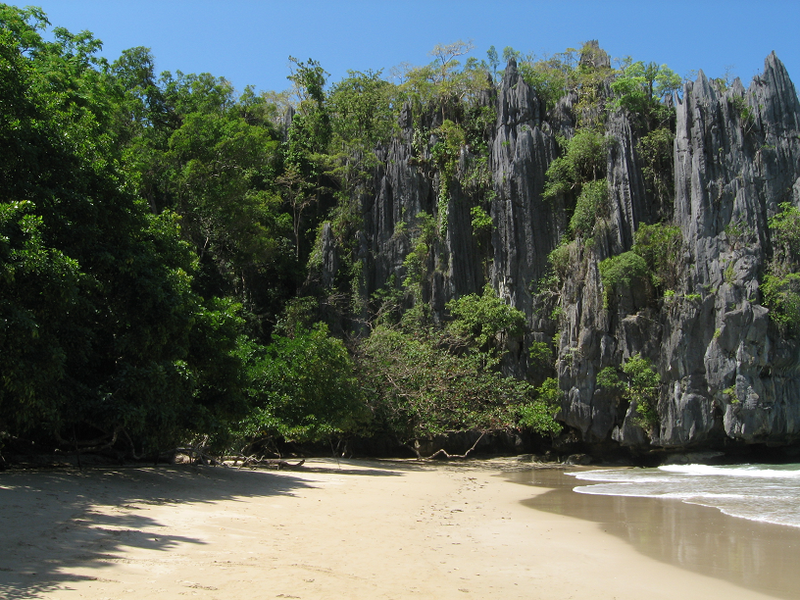 Soils in the tropics tend to erode rapidly when forests are cut down, and Palawan is no different. “The costs for the loss of ecosystems services and biodiversity would be enormous,” she said. Intense weather conditions such as the 2,000-plus millimeters of annual rainfall in Palawan could make upkeep for such a highway nearly impossible. Laurance’s research on infrastructure developments and their impacts on tropical environments has taken him all over the world, and he noted that such projects are often poorly engineered and rarely well maintained. A tourism boat beached near El Nido, Palawan, Philippines. Photo credit: Jerick Parrone, Flickr. “Especially in high rainfall tropical environments, they can essentially become stranded assets,” he said. Perhaps the project would still make sense if the growing number of annual tourists were indeed demanding a new highway. But that doesn’t seem likely. Mayo-Anda also noted that larger metropolitan centers such as Davao, located in the southern Philippines with a population of roughly 1.5 million, do not have six-lane highways traversing hundreds of kilometers. Many critics agree the tourism explanation simply doesn’t add up. Instead, Chan with Palawan NGO Network said his organization is suspicious of corrupt local government officials potentially putting pressure to move forward with the project for ulterior purposes, such as eased transport of products for mining and timber. “This cannot serve a great many of the poor in our province, who need more farm-to-market roads connecting to the highway than the greedy six-lane venture,” Chan noted. Whether or not Palawan’s burgeoning tourism industry actually merits the development, it’s clear that native wildlife and ecosystems would suffer dramatically. From an environmental perspective, the project would have a wide range of direct impacts: noise pollution, hydrological disruptions, animal collisions, loss of habitat and habitat fragmentation. 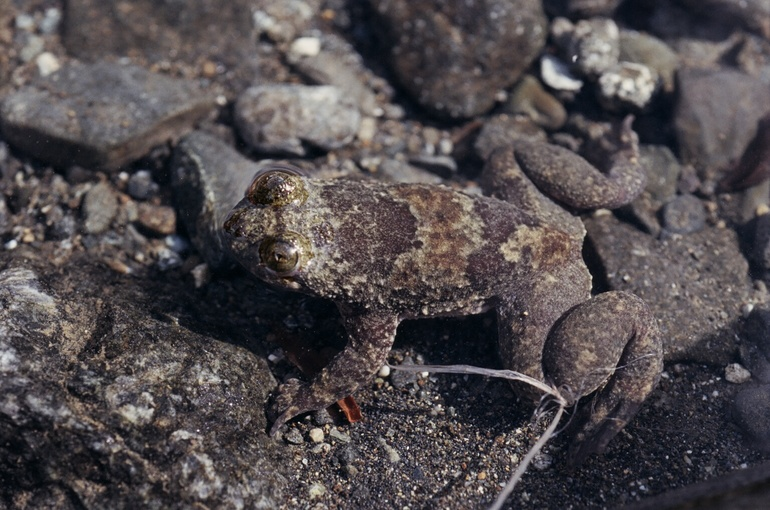 For example, stream-dwelling amphibians with sensitivities to siltation, such as the Palawan flat-headed frog (Barbourula busuangensis) categorized as Vulnerable, could suffer significantly from increased erosion. Palawan peacock-pheasant (Polyplectron napoleonis), Palawan, Philippines. 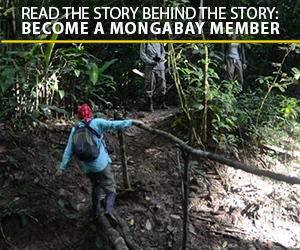 Photo credit: Mongabay.com. But it’s the indirect impacts that hover ominously behind the potential construction of a superhighway, according to experts. Whether the project will go through remains unclear. But it’s clear the government’s decision will play a significant role in shaping the future of Palawan’s fragile natural world.